Fanling was once the home of Hong Kong’s second race course, Kwanti just off the Sha Tau Kok Road. The site was managed by the Fanling Hunt and Race Club on grounds leased by the Jockey Club for grazing. An inaugural steeple chase meeting was held on the 30 October, 1926 and the course and adjacent stables operated until the 1950, when the site was absorbed into the British barracks of San Wai Camp. Race Meetings were held on a Sundays during the winter, with special train services from Kowloon to Fanling for the event. The events were popular with a program of flat races, steeplechases and hurdle races and were helpful in encouraging and training young riders. One of the highlights was the Hunan Stakes, a flat race of 6 furlongs for China ponies, to be ridden by jockeys who had yet to win 10 races. 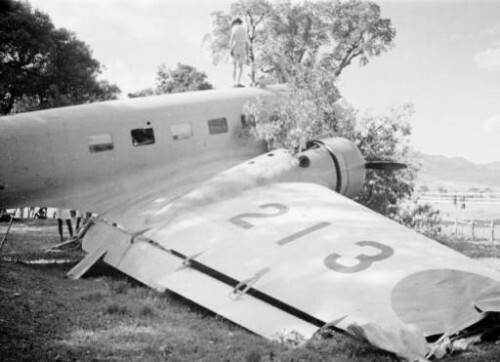 The race course made headlines in 1940, when on the 6th September a German built Junkers Ju86 of Machukuo Airlines operating for the Japanese army crashed on the site. The two crew were hospitalised for a few weeks and the wreck removed.